Desert Aquaforce: Are you having a hard time falling asleep? 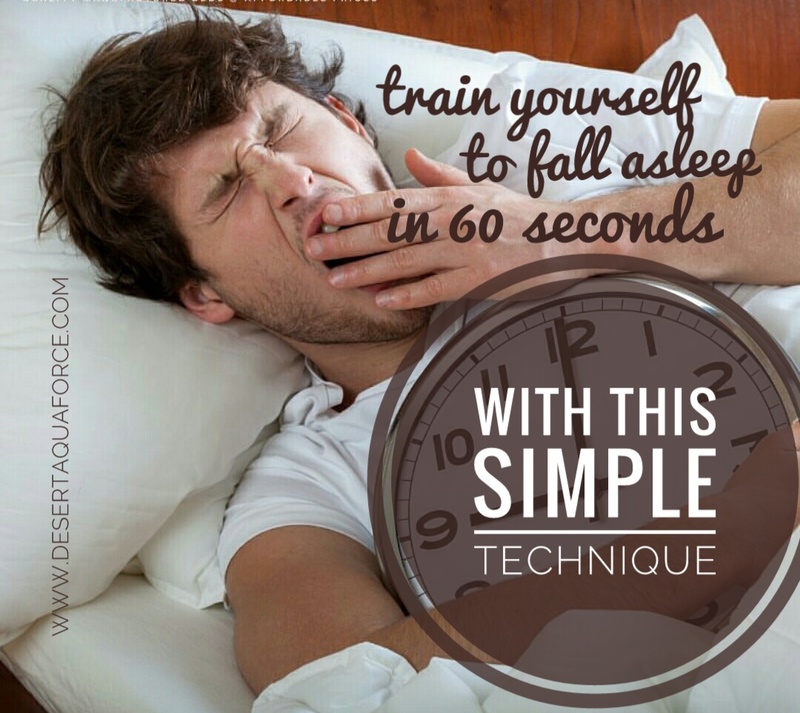 Train yourself to fall asleep in 60 seconds! How? The “4-7-8” breathing technique, developed by Dr. Andrew Weil, a Harvard-educated wellness practitioner, may be the answer. The technique is easy to learn and use. One only has to breathe in through the nose for four seconds, hold the breath for seven seconds, exhale for eight seconds, and then repeat three more times. This exercise will slow down the heart rate and prepare the body for relaxation. It can also counteract stress.